This peony was bred by Maurice Ménard of Laval, Quebec, and was registered in 2004 in honour of our 26th Governor General. 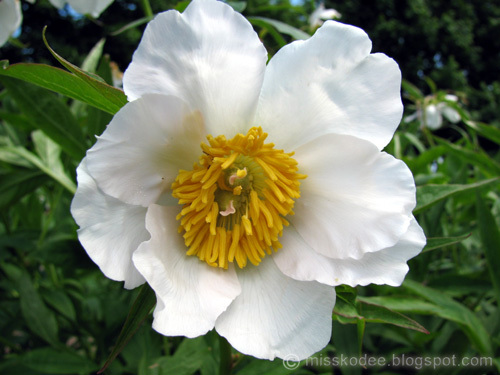 This is a hybrid peony, tetraploid, pale yellow, fading cream and with raspberry-pink flares. It blooms somewhat earlier than the well known hybrid, Red Charm. This peony is currently being propagated for the Canadian Peony Society and distribution is still very limited.